It’s nearly summer! Time to think about your holidays and decide what festivals you’re visiting. When you’re leaving home for a couple of days or weeks, you’ll want everything to be taken care of. You want to be sure your belongings are secure, so you can focus on having the best time possible. Nobody wants to worry about security measures while partying till the break of dawn. Don’t worry. Homey’s got you covered. The general consensus is that burglars don’t tend to break into houses that look like someone is at home. Luckily, with Homey, you can make your home look ‘alive’ with some really easy Flows. 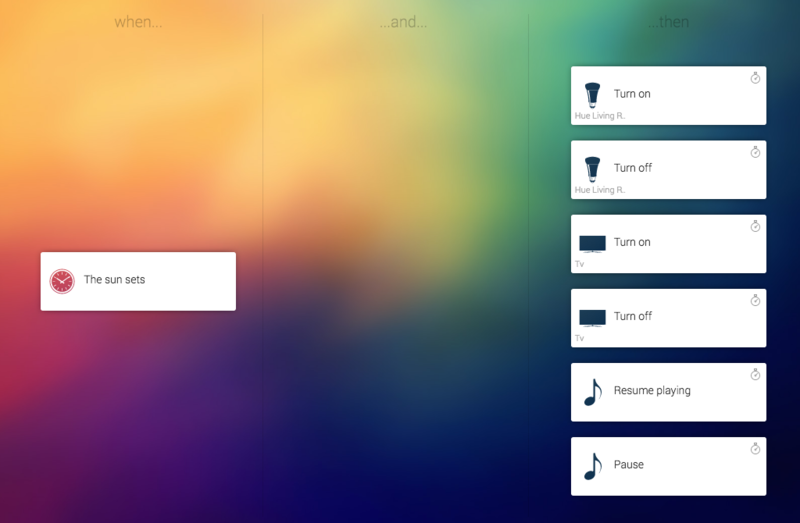 For instance, you could make a ‘Simulate Presence’ Flow which you can enable when leaving home. By doing so, you can make your devices act like you are at home. Have Homey switch on the lights, or even your TV and Music. By adding delays to your device cards, you make sure your devices turn on and off at set times. This way you’ll make your home really look alive when nobody’s there. For example, the lights turn on and off at certain time intervals – just like when somebody’s at home. Of course, by making a Flow like this your devices will always behave like they’re simulating your presence. Even when you’re at home! To prevent this from happening, simply add two Flows. One to enable the Presence Simulation when nobody is at home, and one to disable the Presence Simulation when someone comes home. It’s easy to enable/disable Flows in the Flow Editor. By creating these two Flows you make sure the Presence Simulation is only enabled when nobody is at home. Your devices will act the way you want when someone is at home. This way, you’re always in charge. In Homey’s Flow Editor you’ll notice there’s an option to add smart triggers. These allow you to make a dynamic scenario, which fit every season. You’ll be able to leave your home carefree all year long, without worrying about rescheduling your timers. Take ‘the sun sets’ for example. Using this trigger, Homey will always execute certain tasks when the sun sets that day, instead of at a fixed time which is either too early or too late. This way you won’t have to edit your Flows when seasons change. Again, to make sure Homey only enables the Presence Simulation when nobody is at home, add your new ‘sunset’ Flow to your enable/disable Flows. There you go! Your Presence Simulation is up and running all year long. As always, Homey’s Flow Editor allows you to get creative. Tailor your own Presence Simulation to your own desires. 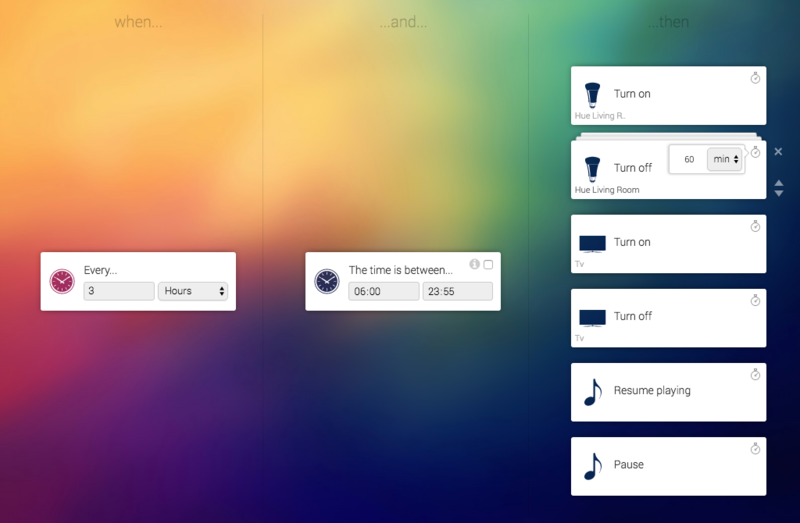 You can easily add your own devices and have them react the way you want. As always, it’s you who’s in charge. Get creative with your Presence Flows, sit back and enjoy your vacation!